Is this the most insane Lamborghini ever? With an eye-catching design inspired by charging bulls and jetfighters, it has to go close. 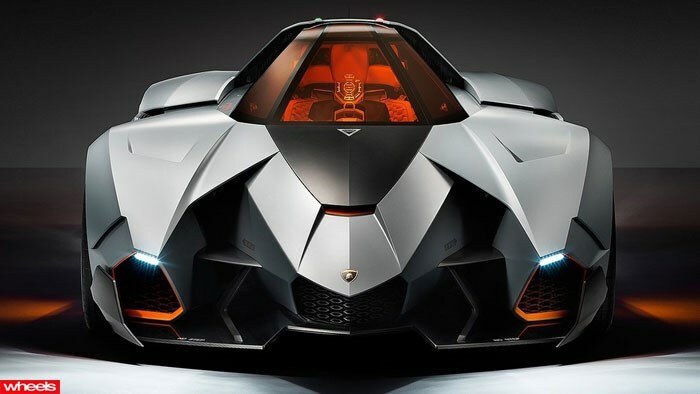 Called the Egoista concept, the one off model has raised eyebrows internationally with its controversial design following its unveiling as part of Lamborghini’s 50th birthday celebrations. “This is a car made for one person only, to allow them to have fun and express their personality to the maximum,” said Lamborghini designer Walter De Silva. Powered by a 450kW V10 used in Lamborghini’s Gallardo supercar, the Egoista’s cockpit – complete with head up display and removable steering wheel – has been inspired by modern jet fighters. Sadly the Egoista isn’t for sale, with the concept Lamborghini’s ultimate gift to itself.